For many people, Christians or not, the message of Easter gets pushed aside by chocolate, farm animals and family gatherings. This year, why not help point people back towards the gospel with the following resources. 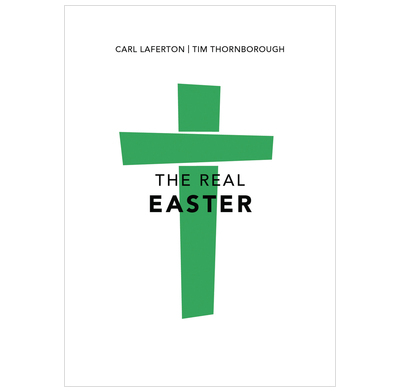 This small tract explains what the real Easter is all about. It takes readers through the crucifixion to the resurrection. At the end, it challenges readers to consider their own response to this incredible story. "One day - Jesus' death on the cross. Two reactions - rejection or recognition. Two outcomes - eternal death or eternal life... One day. Two reactions. Two outcomes. One vital decision. 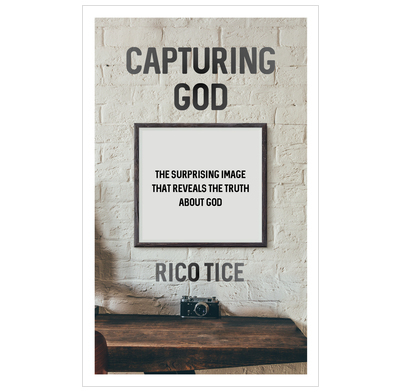 Yours..."
Imagine being offered one photograph that captured the essence of God—an image that revealed everything you need to know about everything that matters. And imagine if this picture of God would shock you… shake you… and change you forever. Would you look at it? No other world religion celebrates the death of its founder. Christianity focuses on it. Why? Why is this symbol the universal loathing badge of honour for Christians? Because this is the place that best captures God. And so this is the place that this book is about... it will surprise you. It should shock you. It may well offend you. But it might just thrill you and it might just change you, too. Our friends at Speak Life have released a four-minute video and a 15-minute documentary telling the moving story of Ryan and Amy Green whose son, Joel, died of brain cancer, aged 5. Yet through the game they made — That Dragon, Cancer — they are teaching the world a profoundly Christian vision of life, and death, and life again! Go Chatter have launched a tool that enables churches to create their own customised Easter videos in just five minutes! It’s really simple to use and church leaders can add their church name, service details and any other text too. If you are running Easter outreach services at your church, or bringing friends along to an Easter event, why not ask them if they'd like to follow up and find out more about the Christian faith with Life Explored or Christianity Explored?